Hi! 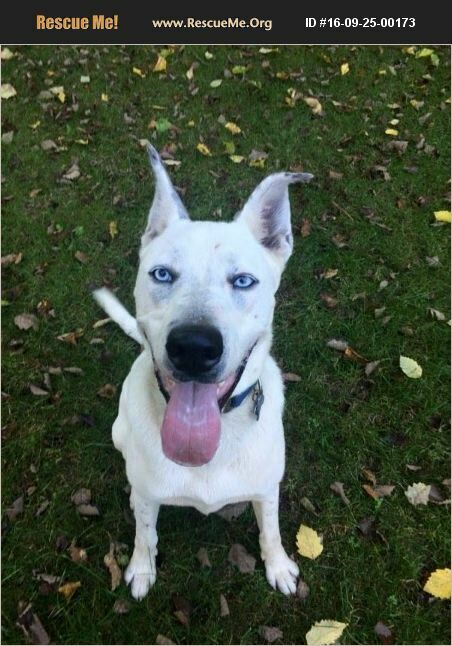 My name is Jake and I am a year old Husky mix that weighs about 60 pounds. I am a big affectionate, trusting, blue-eyed baby! I love playing with my toys, especially the big rubber ball and you will be my best friend if you play with me! I'm great around kids, though I forget I'm so big and sometimes knock the little ones over so I need a home that has kids 8 and older. I'm housebroken and crate trained and I love being around other dogs. My foster sisters and I get along great. When I go to my forever home, I will make a wonderful family member! I'm neutered and UTD on all my vaccines, HW, FT, and have a microchip of my own. RPSM recommends children 8 years and older. I will require a fenced in yard, either physical or underground. If you are interested in adopting me, please go to www.rpsm.org to fill out an application. My adoption fee is $300.